3DFabTech's brief-case sized fabrication system provides fast and inexpensive tooling that supports the emerging rapid 3D printing market for cost-sensitive consumer products as well as the exacting needs of the aerospace/military and transportation industries for an environmentally friendly and quick replication of 3D parts. The E-482 power amplifier is useful for a multitude of fast actuation and switching applications such as adaptive structures and mechanisms, precision tool servos, fatigue testing, quality control purposes or highly dynamic control of piezo driven valves in test stands. Turn-key control package includes motorized rotary table and digital drive. Mide Technology has released a haptic evaluation kit to demonstrate how piezoelectric haptic actuators are able to provide a higher performance and richer tactile haptic feedback experience. 08/01/13, 05:56 PM | Industrial Robotics | Velodyne Lidar, Inc.
Phoenix Aerial Systems successfully demonstrates UAV LiDAR technology by scanning the SD Chargers Football Stadium. Solidoodle announces 3Dörtgen as first distribution partner in Turkey. 3D printer store a first for its nation as well. "Robots Improving Materials Handling Efficiencies While Reducing Costs"
MVTec Software GmbH has launched the new maintenance release 11.0.2 of its machine vision standard software HALCON 11. 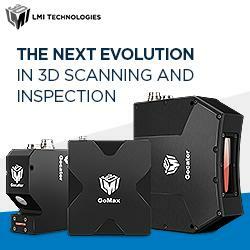 This release fixes bugs and offers improved features to the machine vision market. Dronestagram is Instagram for drones. Drone owners both professional and amateur can share their best aerial pictures with the goal of building a world map of Earth from a bird's eye view.